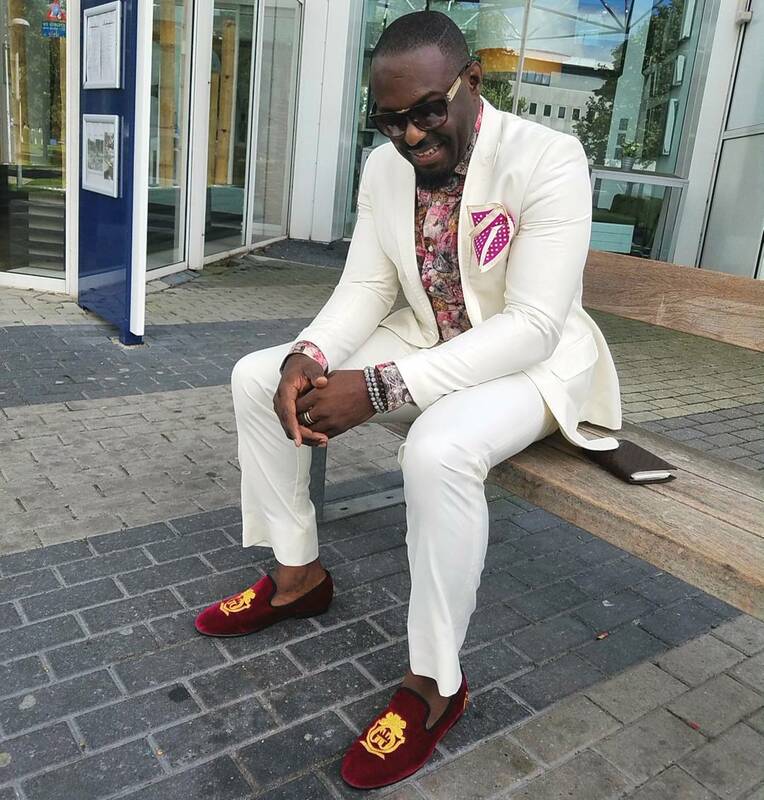 Here at Fashion Police Nigeria, you already know we do women’s fashion but frantically speaking, we can’t help but take note of how chic Jim Iyke looks on a regular basis. Since his days in Nollywood, the days he was an active ‘play boy,’ Jim has long been one of my favorite people. At that time, Jim was no stranger to wearing stud earrings, timberland boots and certainly was not afraid to shock the crowd with his outfit choices and is what we can only describe as a vibrant illustration of personal style and flair. But you see, times have changed and we have to admit to ranking Jim not only as one of the fashionable cool dude in the world but the most stylish guy in Nigeria’s recent history. Jim now has a thing or two for colors, wears a cool pair of shoes, and often turn to a beret as a major accessory. He also has a penchant for high-end designers, which means his wardrobe is full of labels like Giorgio Armani, Gucci, Dolce & Gabbana, just to name a few. What we love most about the actor? He has no-fail styling tricks we all can turn to and once you jump into his ‘Gram, he has put a handful of hacks on display in every of his sharp, polished looks. Keep reading to see why Jim is the most stylish guy right now. Jim kept it clean-cut in a printed shirt and pantsuit.